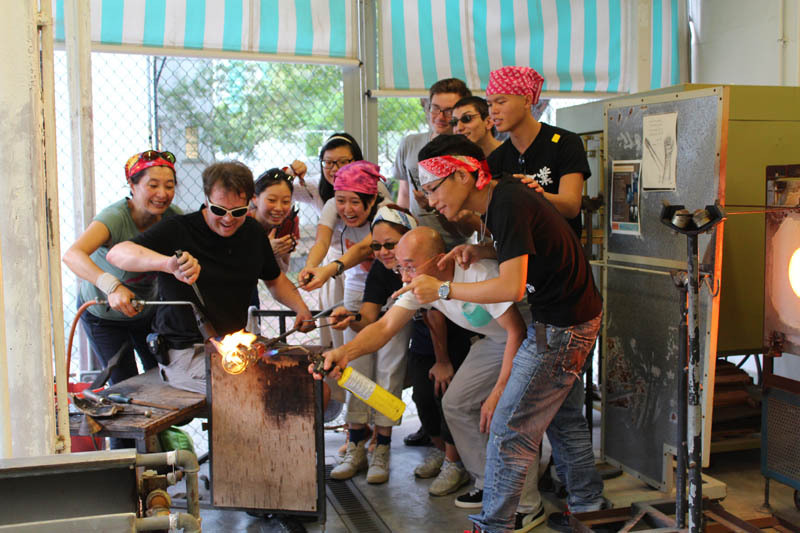 Mark Hursty was a 2011-12 Fulbright Fellow and spent 16 months researching contemporary glass art across China and Hong Kong. He was based in the UK from 2013-15 and in the early 2000's, apprenticed at studios in Venice. Mark established Hurstin Studio Glass and Metal in Massachusetts in 1999. Hong Kong Baptist University. 2012. [L] SHECO Glass, Shanghai. 2012. 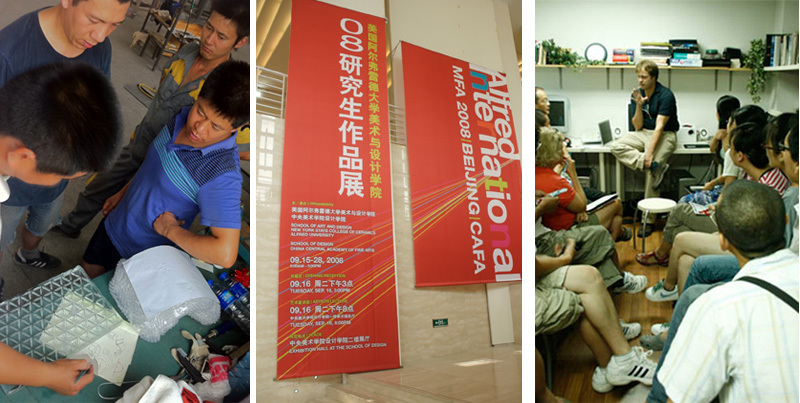 [C] Central Academy of Fine Arts (Beijing 2008) [R] Lecture at Shanghai University, 2008. Venice Italy, 2003. Pino Signoretto Glass Apprentice. Le Ali di Venezia, Venice Italy, 2003. Pino Signoretto Glass (Apprentice).